First class, high quality products at a very good price. Would recommend. Good range of products and easy to order. I've been looking for a corner shower for a while and have finally found just what I want here. Good telephone manner. Helpful. Product was waiting for us to collect. Great service, excellent range at fantastic prices. Pleasure to deal with. This was a replacement unit originally bought from V.P. that was damage by a pipe burst. Delivered quicker and cheaper than the original. After a delay to the delivery I contacted the seller who promptly arranged delivery. Well packaged and pleased with the purchase. Delivered in time , happy with purchase. Bathroom Traders is one the UK's leading and most experienced bathroom retailers. 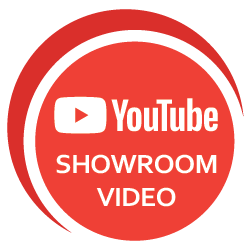 Through our conveniently located Derby showroom and easy-to-navigate online store, we offer inspirational bathroom ideas, suites and accessories, designed to transform your bathroom and give you the room you've been looking for. Whether you're considering a practical solution or a bathroom that creates a real impression, our expert team at Bathroom Traders can advise on the most suitable products on the market, at the most competitive prices - helping you to have the bathroom you really want. With over 100 bathroom suites on display at our Derby showroom, you'll find inspiration to transform your bathroom, en-suite, WC or wetroom, around every corner. We have 1,000s of products in stock, including lines from leading bathroom brands such as Laura Ashley, Ambiance Bain, RAK Ceramics, Roper Rhodes, Renica, Kudos, Aquadart, Hudson Reed, Home of Ultra, Premier, Mira Showers and Cassellie. From state-of-the-art bathrooms that blend perfectly with contemporary interiors, to suites designed to complement traditional homes, we're sure to have the ideal bathroom for you, your taste and style. Large bathrooms, small spaces, shower rooms, en-suites and WCs can all be transformed and designed to work the way that suits you, using products and bathroom schemes from our extensive range. So, whether you are looking to create a relaxing space just for you, or a fun family bathroom for everyone, we can help. Impress your friends and family, and even add value to your home, with a new bathroom from Bathroom Traders. You can browse our extensive range on our website, or visit our bathroom store, which is open seven days a week with free parking, and talk to our knowledgeable team. Your dream bathroom is closer than you think.